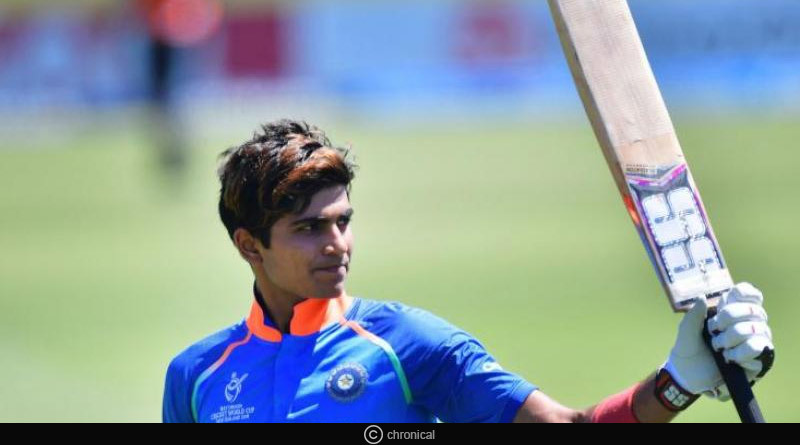 Coming back to Deodhar Trophy India C beat India A, a rampant India C rode on a Shubham Gill century and half-centuries by Suryakumar Yadav and Ishan Kishan to propel themselves into the final of the Deodhar Trophy. Set a stiff target of 294 by India A, India C made light work of the total as they strolled towards the target at hand in just 47 overs and with 6 wickets in hand at the Feroz Shah Kotla. India C’s chase started off on the wrong footing with them losing their prized wicket of Ajinkya Rahane in the seventh over. The year has been a disappointing one for Rahane who has slumped in form drastically and the Deodhar Trophy has been no different for him. His frailties in the 50 over format were once again exposed against India A, as he was caught out for 14, unable to make the most of the respite he was granted at 7 when he was dropped by Mohammed Siraj. Losing Suresh Raina to a needless run-out involving Shubham Gill, India C’s scorecard read 85-3 after 18.2 overs. Unfazed by the setback, Shubham Gill and Ishan Kishan kept the runs flowing, not playing too aggressively but ensuring they kept the runs flowing at the same time to stay in check with the required run-rate. Forging a vital 121 run stand for the fourth wicket, Kishan played the role of aggressor, reaching his 50 in 43 balls while Gill took 63 balls to reach the same figure. The stand was finally broken at 206 with Ashwin trapping Kishan in front with a quicker one. That was the last piece of success that India A tasted in the match with Gill and Yadav ensuring their side won the match with no further hiccups. 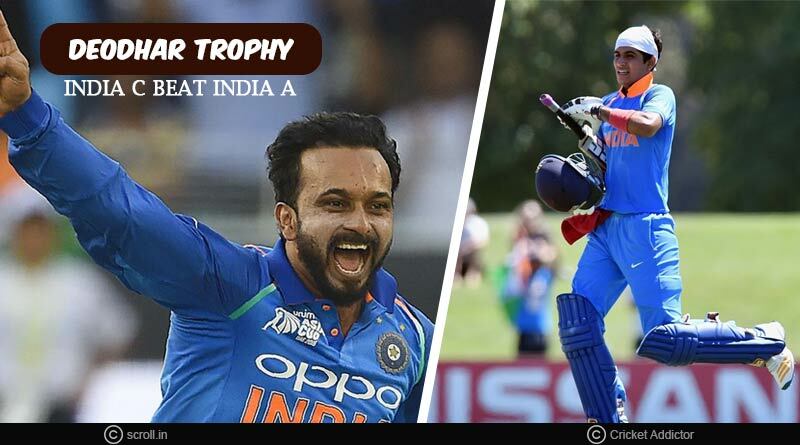 A 36 ball 56 by Yadav and a 106 by Gill ended the match for India C on a high, seeing them reach the final of the Deodhar Trophy comfortably. Earlier in the day, India A constructed well-worked innings. Opening partnerships of 99 and 76 saw them reach 175-2 in 35 overs before Dinesh Karthik helped them finish strongly with a 32 off just 23 balls. For more details on Deodhar Trophy India C beat India A and other related updates, like and subscribe to tentaran.com.